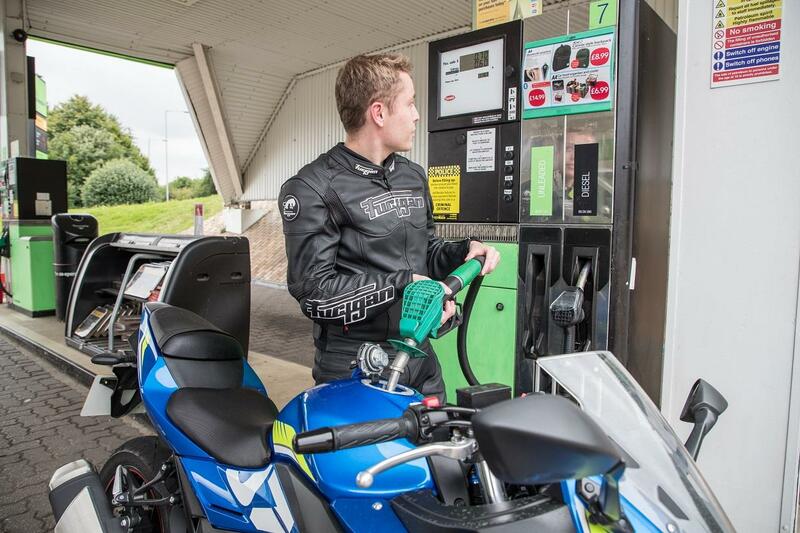 ﻿ MCN Fleet: How far will the GSX250R go on empty? 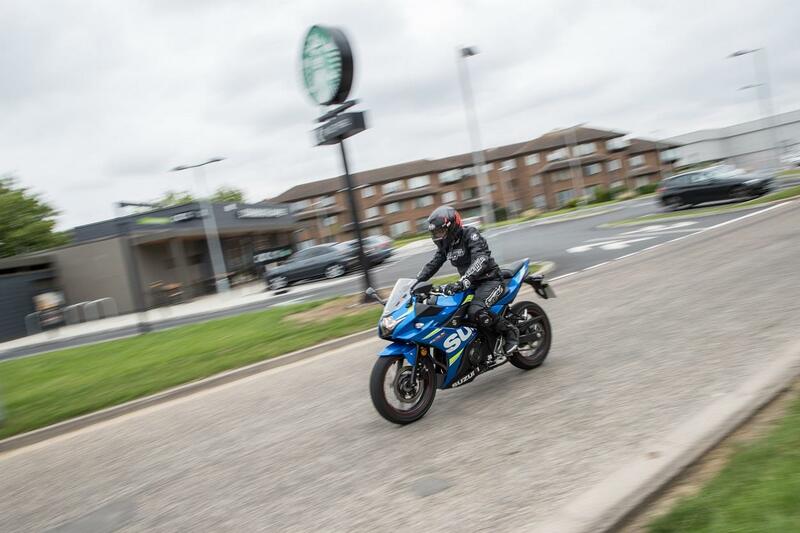 MCN Fleet: How far will the GSX250R go on empty? Although I’ve only had my Suzuki GSX250R for little over a month, I have already clocked up just shy of half of my #ride5000miles total. In this time together, one of the things I have come to like the most about my bike is its incredibly frugal nature. Despite having to rev it hard to get the best out of it, the Suzuki’s tiny parallel twin engine will return an impressive near-77mpg consistently on A-roads and motorways and never drops below the mid-60s on even the most spirited of rides. It’s fantastically cheap fun. Although only taking gentle sips from its 15-litre tank, I have noticed that the Suzuki’s fuel gauge is very keen – with the light flicking on with just over four litres left in the tank. At 77mpg, this supposed extra four litres of fuel should carry me a hypothetical 67.8 miles further than the gauge would have me believe. 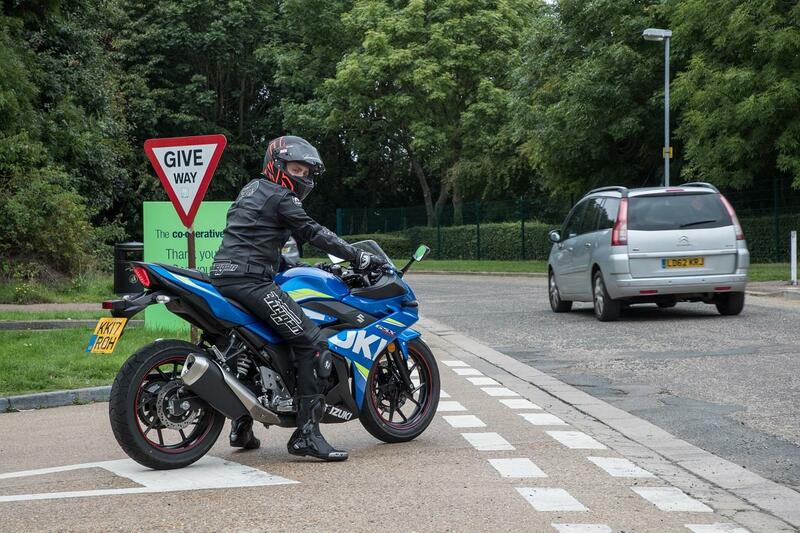 Suzuki GSX250R: The return of the pocket rocket? MCN Fleet: Is the GSX250R any good on track? MCN Fleet video: How am I finding the Suzuki GSX250R?